Minimum Wage NCR 2017, Now P512. Insult or a Blessing? The minimum Manila rate salary got a nudge upwards when Regional Tripartite Wages and Productivity Board (RTWPB) approved Wage Order No. NCR-21 last week. From the previous NCR minimum wage of P491 per workday, it is now P512 starting next month, which raises the question, what to make out of the extra P21? Early this year, three different groups filed their own petitions to give the minimum salary rates a boost, with each one having their own idea on how much is enough for the Filipino minimum wage earner to get by. For the Association of Minimum Wage Earners and Advocates (AMWEA), they petitioned for a P175 salary hike, while the Trade Union Congress of the Philippines (TUCP) set it for P259. The third petition came from the Associated Labor Unions (ALU) and they want a P184 increase. (P491+P21) X 21 days = P10,752/month. *Calculations are based on 21 working days with work hours not exceeding 8 hours. When expectations clash with reality, especially when they do not coincide, there is a tendency for mixed reviews. According to ALU-TUCP, the extra P21 is not enough to free a family from the thresholds of poverty, especially when the prices of transportation and goods are on the rise. “The (additional) P21 is only 4.27 percent of the current P491. So it obviously did not lift workers out of poverty,” said ALU spokesman Alan Tanjusay. ALU intends to file an appeal to give P500 vouchers to minimum wage owners to offset purchases for rice, medicines, and other necessities. However, Labor and Employment Secretary Silvestre Bello III said that it would be difficult to approve since it will mean that the government has to shell out P1.3 billion a month or P15 billion a year. Most would agree that P21 is insufficient in alleviating the Filipino minimum wage earner from the hard life, but those who see glasses as half-full are glad that there is such an increase, even if it was a slight one. “Pwede na pang ice cream, merienda, o pang pamasahe” (Good enough for ice cream, snacks, or fare), according to Felix, a security guard. “Kesa sa wala.” (Better than nothing). The RTWPB issued Wage Order No. NCR-21 also hiked the minimum rates in the agricultural sector. It is now set at P475, with P465 as new minimum wage and the additional P10 for cost of living. Employers should note that the new minimum wage is only applicable to employees working in the private sector. It does not apply to domestic workers, persons in the personal service of another, and workers in the Barangay Micro Business Enterprises. 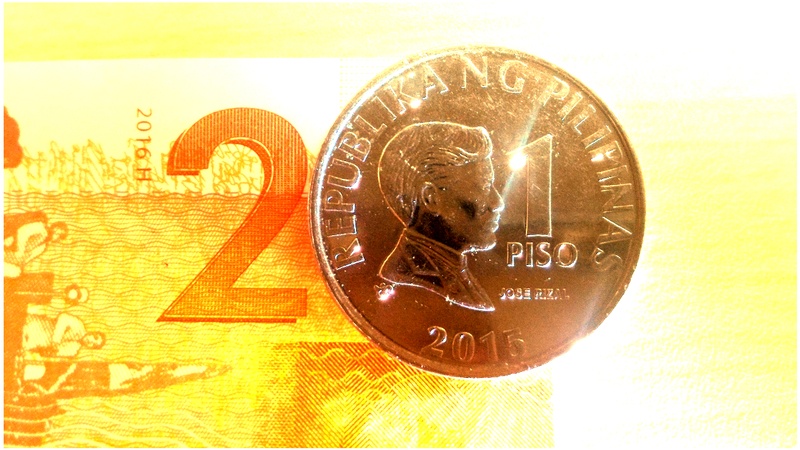 Depending on one’s perspective, the P21 salary hike could be seen either as an insult or a blessing. The new wages take effect on October 5, 2017. Only by then, when the payslip that the minimum wage earners will receive is in their hands, will they decide on whether to give it the thumbs up or their longest finger.